Pre-registration for the North Carolina Writers’ Network 2018 Spring Conference ends Sunday, April 15. In the meantime, we’ll be highlighting our exhibitors. The exhibit hall is a great chance to truly shop local and stock up on your summer reading material! We highlighted four exhibitors last week here. The big news out of Durham this week is that Yuki Tanaka has won the 2018 Frost Place Chapbook Competition, which Bull City Press sponsors annually, for his manuscript Séance in Daylight. Tanaka receives a fellowship to the Frost Place Poetry Seminar, a $250 prize, and a week to live and write in the Frost Place house in Franconia, NH. Séance in Daylight will be published in September of 2018. 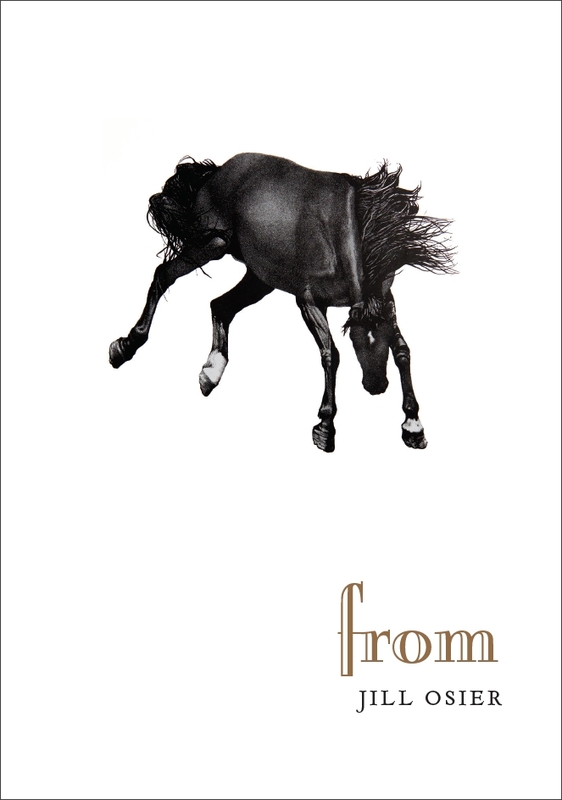 Jill Osier’s new chapbook, from, is coming out any day: she won the 2017 Alice Fay Di Castagnola Award and the 2013 Frost Place Chapbook Competition. Also out this Spring: Tunsiya/Amrikiya by Leila Chatti, the Editor’s Selection from the 2017 Frost Place Chapbook Competition. Chatti, a Tunisian-American, explores the nuances of multicultural identity, the necessity of family, and the perennial search for belonging. From vantage points on both sides of the Atlantic, Chatti investigates the perpetual exile that comes from always being separated from some essential part of oneself. Bull City Press also publishes a literary journal, inch, devoted to the most compressed literary work. The inaugural Greensboro Bound Literary Festival happens May 18-20 in various locations around downtown Greensboro. Over seventy authors will host readings, panels, talks, and more. Those authors include former Piedmont Laureate John Claude Bemis, author of The Wooden Prince, among many others; poet Nikole Brown; former NC poet laureate and NC Literary Hall of Fame inductee Fred Chappell; novelist Naima Coster; Steve Cushman, winner of the 2018 Lena Shull Book Award for his first full-length poetry collection, How Birds Fly; poet Nikki Giovanni, named one of Oprah Winfrey’s 25 “Living Legends”; author Jessica Jacbos; poets Terry L. Kennedy, Michael McFee, Joe Mills, and Lauren Moseley; novelists Elaine Neil Orr and Michael Parker; poet Emilia Phillips; author and storyteller (and NCWN membership coordinator) Deonna Kelli Sayed; fiction writer and NC Literary Hall of Fame inductee Lee Smith; fiction writers Daniel Wallace and Michele Young-Stone; and a whole lot more. Greensboro Bound hosts literary events throughout the year in Greensboro. 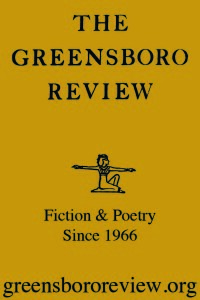 The Greensboro Review, a literary magazine published by The MFA in Creative Writing Program at the University of North Carolina at Greensboro, has been willfully and defiantly “old school” since it’s founding in 1966. Back then, it appeared more or less exactly as it does today, offering readers a simple cover, no distracting graphics, and a complete and total focus on the quality of the text. Recent authors include fiction writer Jacob M. Appel; poets Matthew Olzmann, Matthew Poindexter, and Alan Shapiro; Pulitzer-Prize winning poet Claudia Rankine; and Pulitzer-nominated fiction writer Kelly Link. TGR editor Terry L. Kennedy will serve as a panelist for the “Slush Pile Live!” program at the NCWN 2018 Spring Conference, where attendees will also be able to park for free in the Oakland Avenue parking deck courtesy of the MFA in Creative Writing Program at UNCG. The Greensboro Review spnosors the annual Robert Watson Literary Prizes, which will reopen on February 16. The mission of the North Carolina Literary Map is to highlight the literary heritage of the state by connecting the lives and creative work of authors to real (and imaginary) geographic locations. Through the development of a searchable and browseable data-driven online map, users are able to access a database, learning tools, and cultural resources, to deepen their understanding of specific authors as well as the cultural space that shaped these literary works. Housed at the University of North Carolina at Greensboro, the NC Lit Map focuses on works written about North Carolina and authors who were born in North Carolina, who currently live or have lived in North Carolina, who have written about North Carolina, or who have made a significant contribution to the North Carolina’s literary landscape. The NC Lit Map offers several Literary Walking Tours around the state, including Asheville, Charlotte, Greensboro, and Wilmington. Their website also offers educational resources for elementary, middle school, and high school students. This was written by charles. Posted on Tuesday, April 10, 2018, at 10:47 am. Filed under Uncategorized. Tagged alan shapiro, Bull City Press, Claudia Rankine, daniel wallace, deonna kelli sayed, Elaine Neil Orr, emilia phillips, Fred Chappell, greensboro bound, inch, jacob m. appel, Jessica Jacbos, Jill Osier, Joe Mills, john claude bemis, Kelly Link, lauren moseley, lee smith, Leila Chatti, matthew olzmann, matthew poindexter, micahel parker, michael mcfee, michele young-stone, Naima Coster, NC Literary Map, Nikki Giovanni, nikole brown, Oprah Winfrey, steve cushman, terry l kennedy, the greensboro review, Yuki Tanaka. Bookmark the permalink. Follow comments here with the RSS feed. Both comments and trackbacks are currently closed.